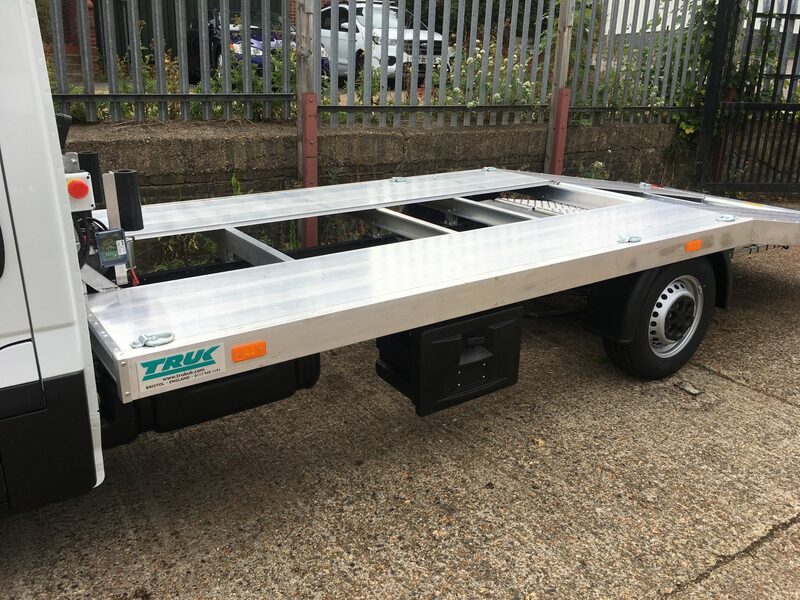 Designed to give you the maximum payload on either a 3.5 or 7 tonne chassis our Beavertails are individually custom built to maximise the chassis’ carrying capacity. Unlike many other lightweight beavertails available on the market today, TRUK Montana Beavertails are designed and built to last. 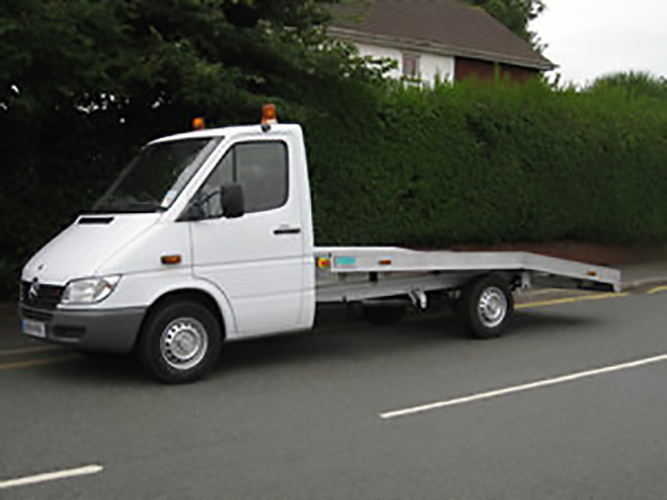 Our Montana Beavertails come in two design capacities and have a wide range of options to suit your specific needs. Available models: MBT200A, MBT300A and MBT300C (covered). Clear Venta LED R65 Beacon fitted to cab roof. BHW Delta 2250kg Electric Winch. Full width load bearing floor (Additional longditudinal floor planks). 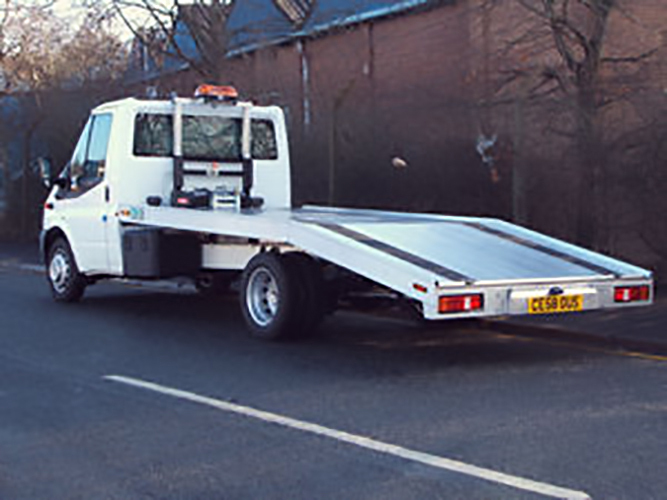 Aluminium Body, 3 tonne Design Capacity, c. 6.1m (20′) long and c. 2.29m (7′ 6″) overall width with full centre and 10 Securing Shackles. 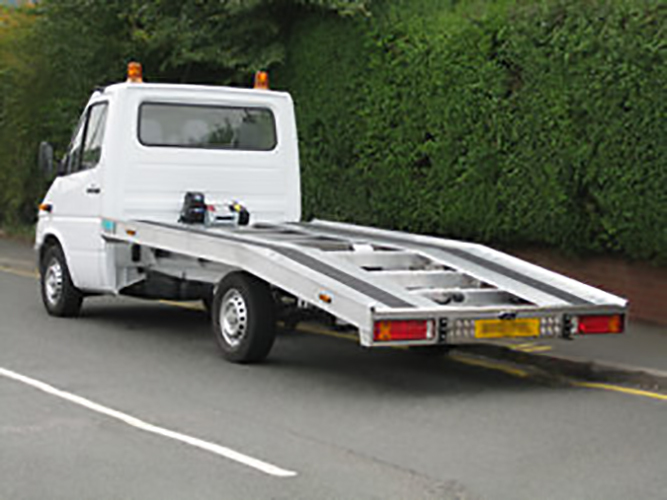 Manufactured with double angle on body for minimum loading angle on 7.5 tonne GVW chassis and larger. 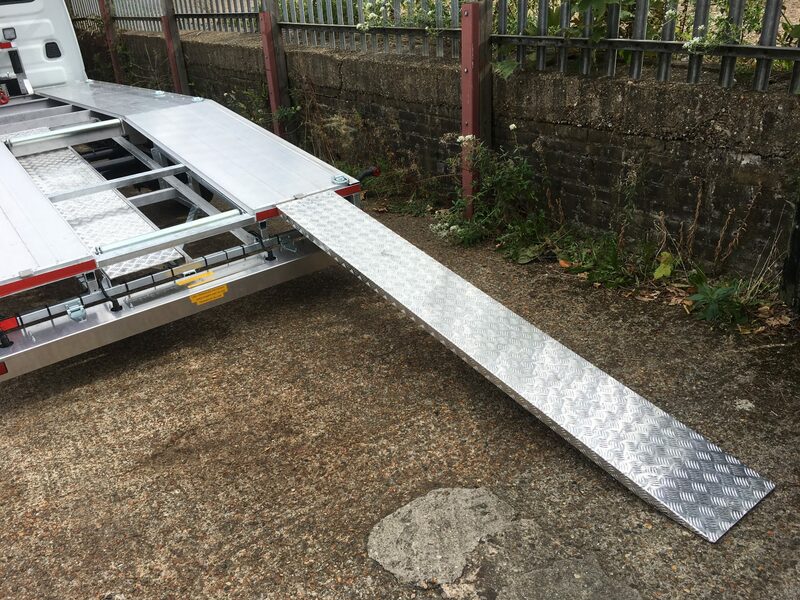 Two Aluminium Ramps stored through rear of Body. BHW Delta 2250kg Electric Winch with Wire Rope, Roller Fairlead and Emergency Stop Button. 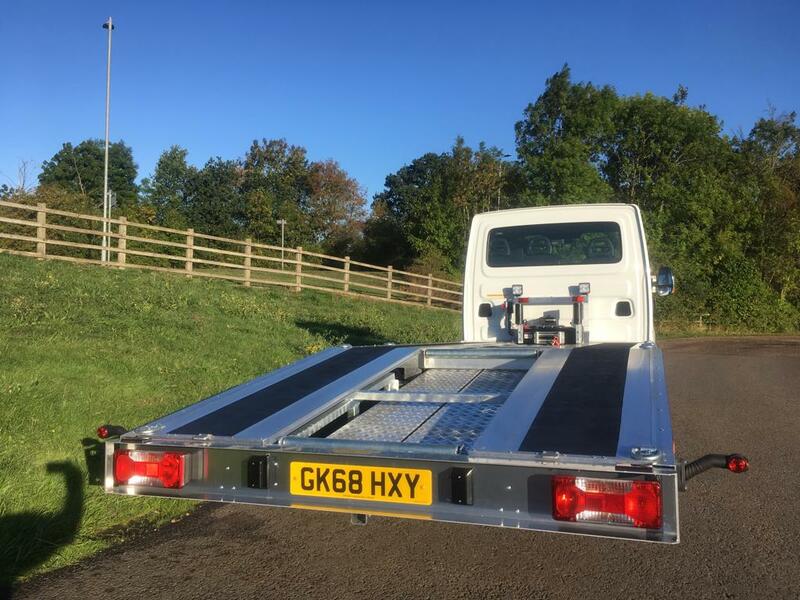 Bar Light 5′ long with 4 Rotating Modules and Rear Running Lights fitted to Flyer. LED Outline Marker Lamps fitted to side raves. LED Rear Lights Mounted Vertically. 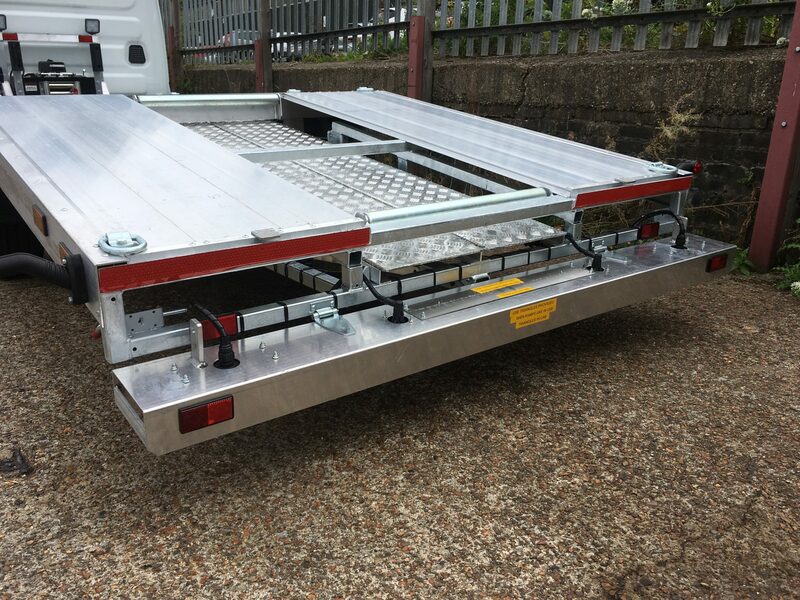 Toolbox, chassis mounted, manufactured from heavy duty polyethylene with lock and weatherproof door seal, 520mm wide x 360 high x 360 deep. Radio remote control for winch. 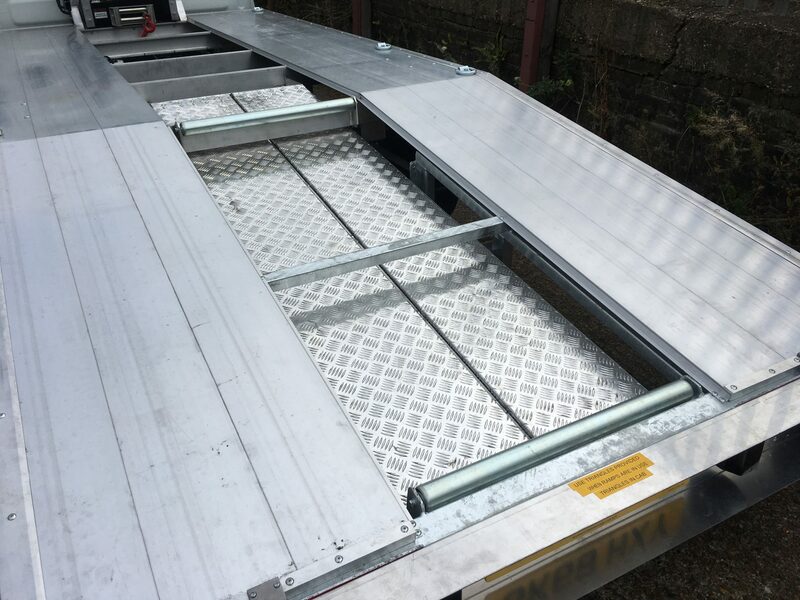 Aluminium extension ramps including storage on chassis. 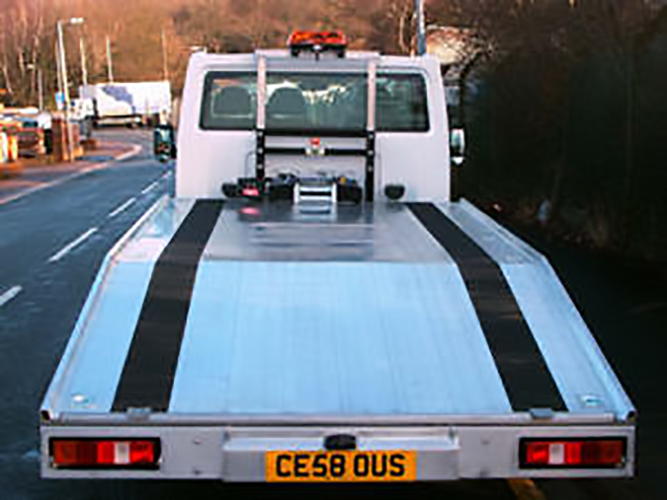 Four “Wheel Secure – Anti Slip” Vehicle Securing Straps. 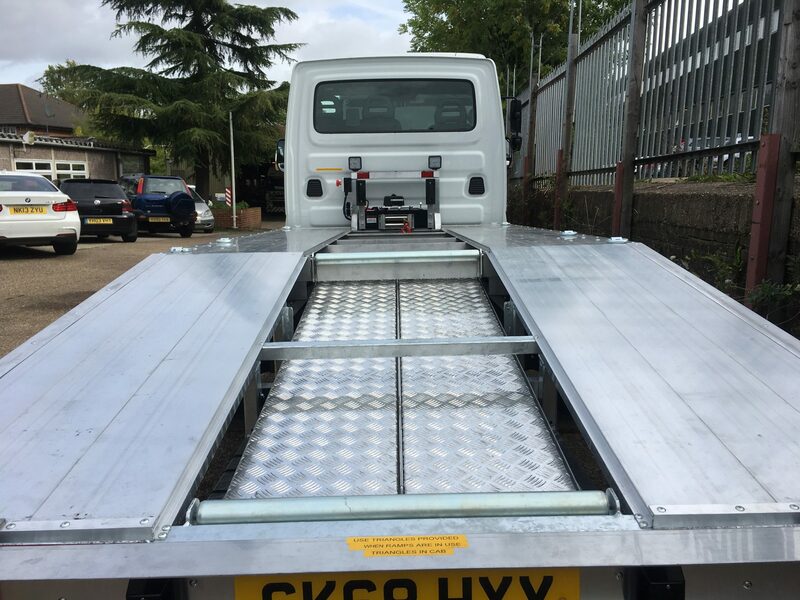 Rear of underframe and floor cranked three times to create Beavertail with shallow departure angles. 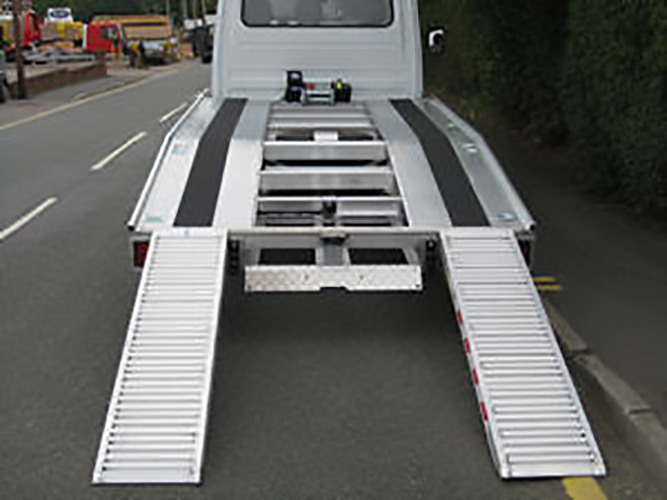 One piece hydraulic loading ramp, full height x full width to rear of body ramp to form full closure via seal kit. NOTE :- ramp will be designed for vehicles to run over for loading purposes only. The ramp is not designed to lift weight. The leading edge of the main ramp must be supported at all times. 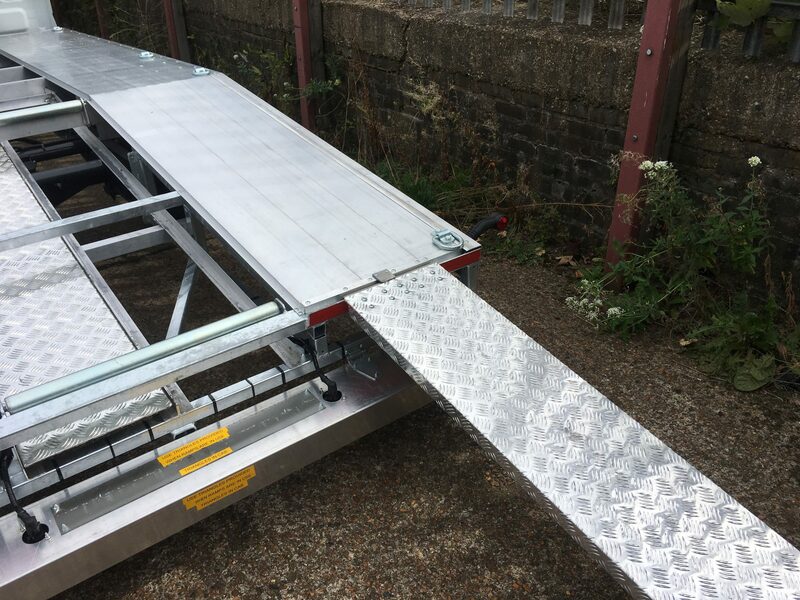 Two additional purpose made shallow folding loading ramps connected to rear edge of main ramp via heavy duty hinges. Ramps to fold over manually onto inner face of main ramp for stowage purposes only. 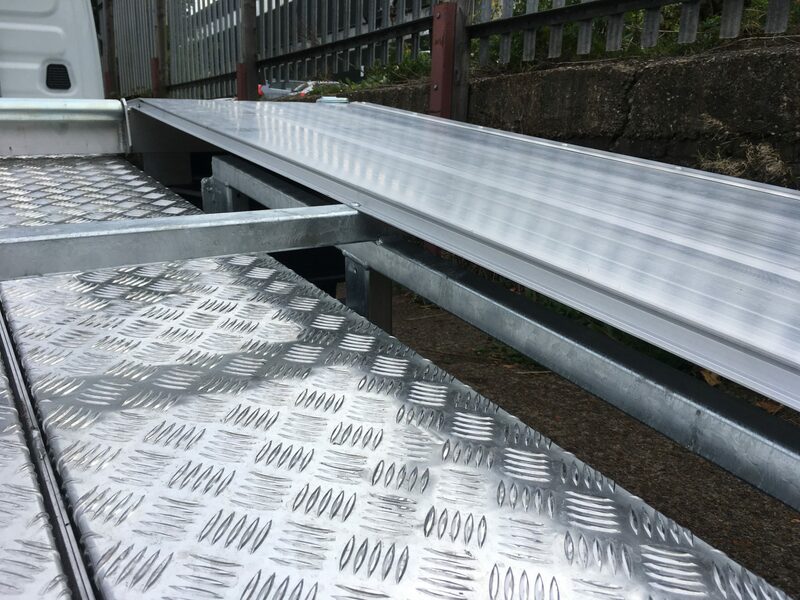 Underframe 5mm galvanised steel longitudinal members with 100mm galvanised steel cross members @ 406mm centres. Sides galvanised steel main sides with 2 x 2 weave polyester curtain with ratchet tensioners to front and rear. Flooring 18mm plywood overlaid with 5 bar alloy chequer plate. Front galvanised steel frame with 17mm GRP ply panelled infill to form bulkhead and radius front corner pillars. Manufacturers rear underrun bar to remain if structure allows. 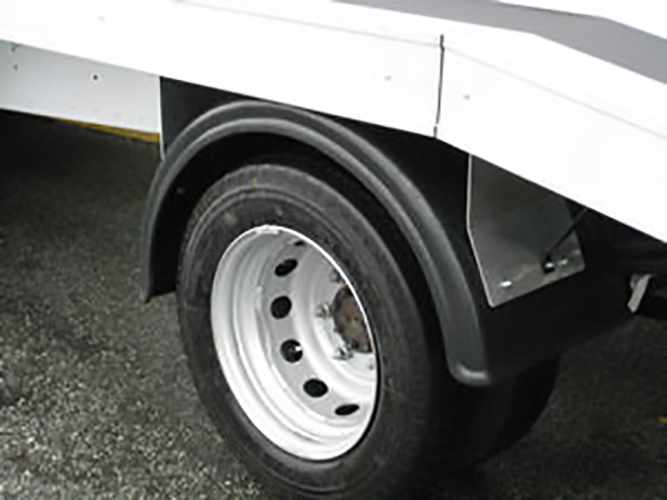 GRP panelled skirt sections rear of back axle to enclose beavertail sections. E.C regulation anodised alloy sideguards on hinged supports. 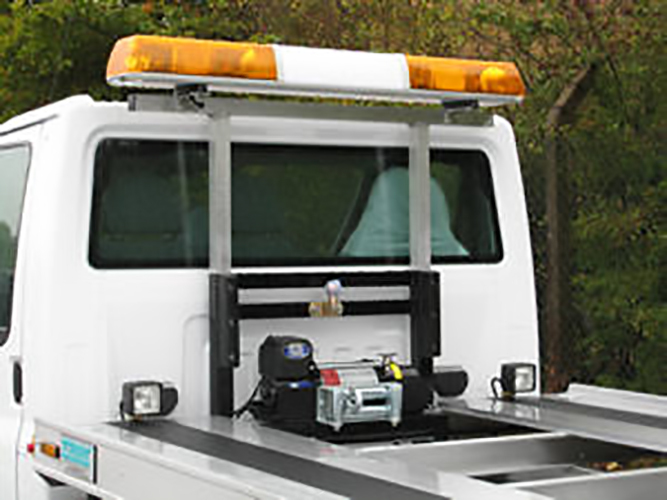 Two LED work light mounted at high level within body and wired into one illuminated dash mounted switch. 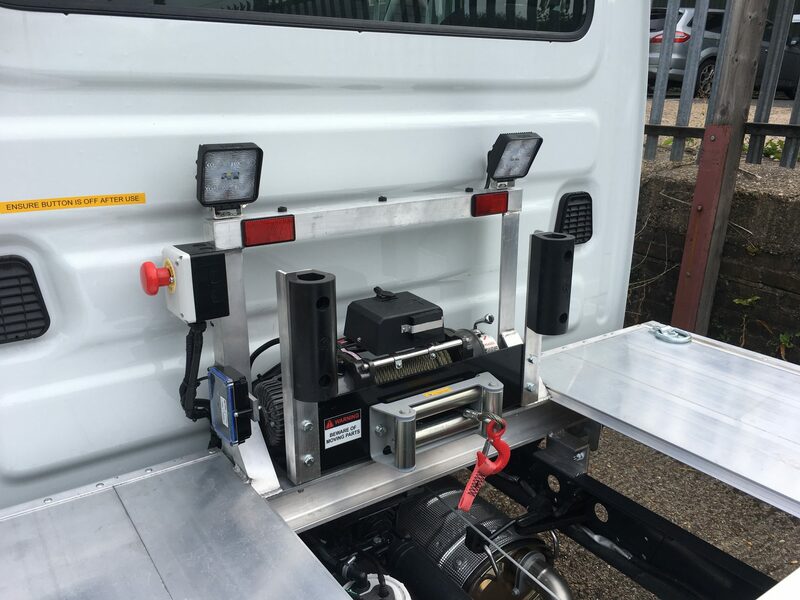 External controls for electro hydraulic unit positioned to nearside of body to suit. 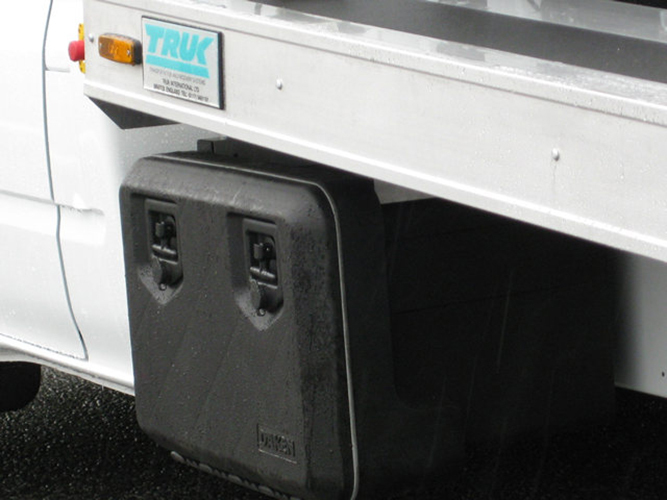 Special requirements rear light and underrun bar re-positioned to comply with type approval regulations. BHW Delta 2250kg Electric Winch with cable remote control, including roller fairlead and 23m of wire cable. 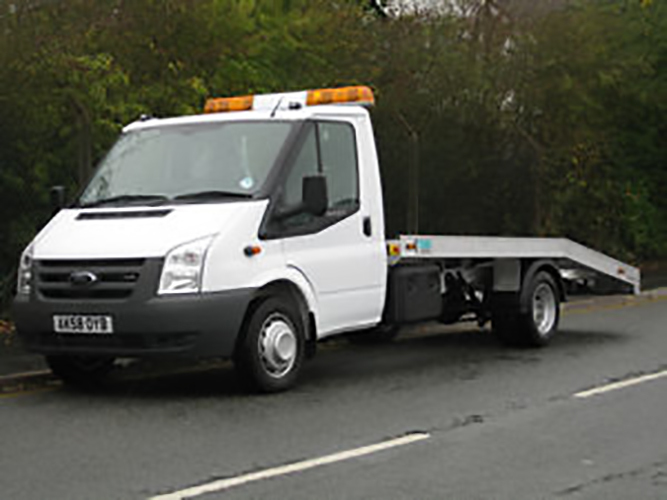 EN14492-1 Compliant. Bodywork painted one solid non-metallic colour.